K'ya Bistro is a Mediterranean-style restaurant located in the historic and beautiful La Casa del Camino Hotel. Enjoy breakfast, lunch, or dinner in the main dining room, or head up to the Rooftop Lounge for one of the most stunning ocean views in Laguna Beach. K'ya Bistro's Mediterranean-style atmosphere is a perfect match for the ocean breezes and diverse menu selections including; seafood, chicken, steak, pasta, and so much more! One of the most stunning panoramic oceanviews of the Laguna Beach coastline can be seen from The Rooftop. 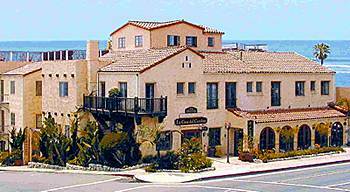 Enjoy cocktails, lunch, or Laguna Beach nightlife from the roof of La Casa del Camino Hotel! The Rooftop is regulary recognized as a "local's favorite" spot for Laguna Beach nightlife and oceanviews! K'ya Bistro is open for breakfast, lunch, and dinner.